I like to keep an eye on activity on my blog, website and Facebook page. It helps me get a sense of what people are interested in, and really helps me to direct my content for future posts. There is a blog post I did in 2011 that still consistently gets hits every single day. Yes. Every. Single. Day. For nearly two years. What is this spectacularly interesting post? 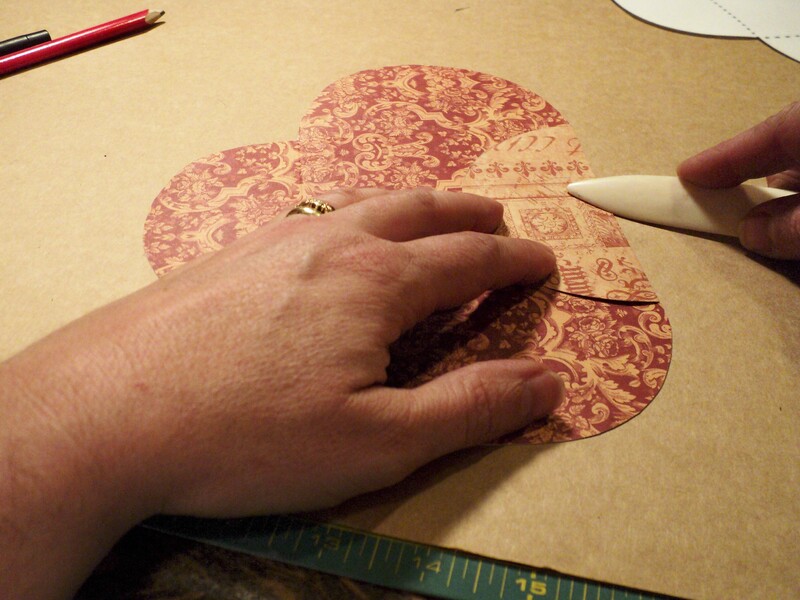 It was a simple little photo tutorial on how to make a petal card. Who could have known such a simple topic would gain such consistent popularity? 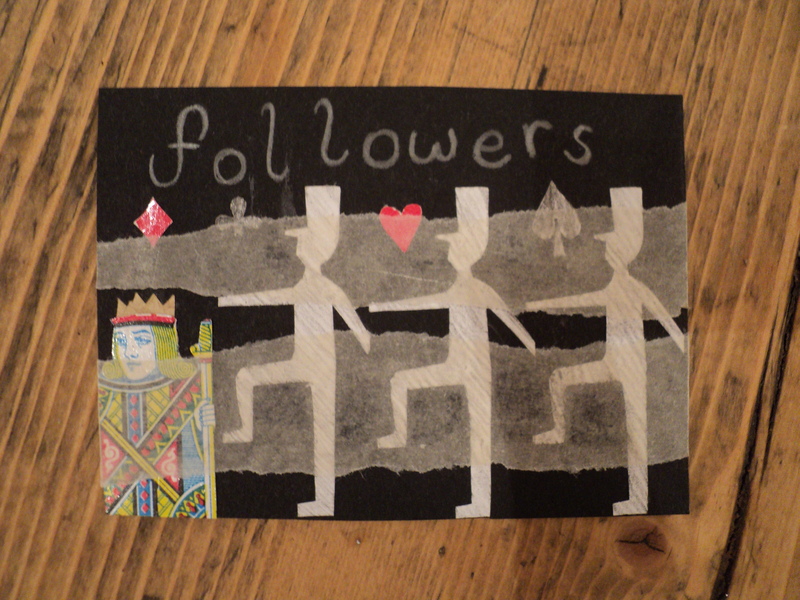 I enjoy creating mail art and exchanging it with friends and contacts all over the world. 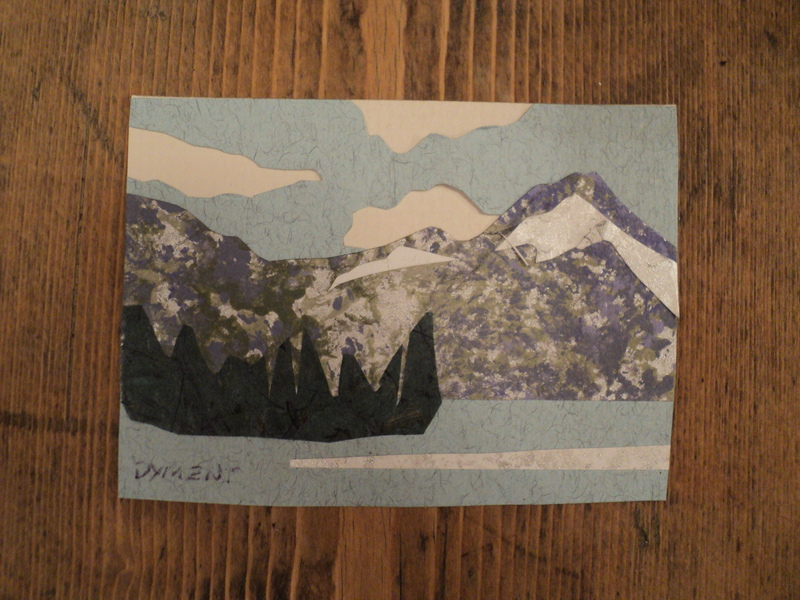 There is something about the combination that thrills me: The ephemeral nature of the mail art; the quality added to the art by handling and transit through the postal system; the idea of the interest and pleasure it brings as it passes hand to hand across the world; and the pleasure of contact and exchange engendered when the art reaches its destination. 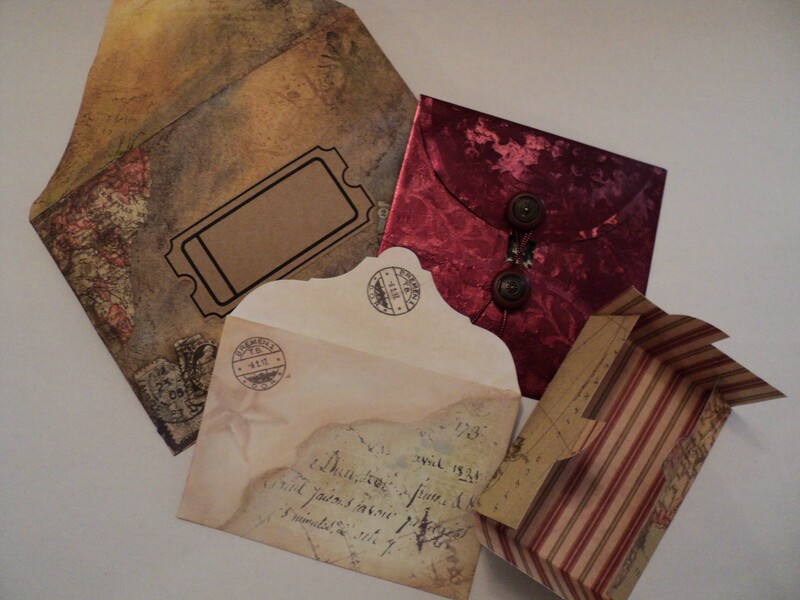 I long since moved beyond prosaic mail art on commercially made envelopes. 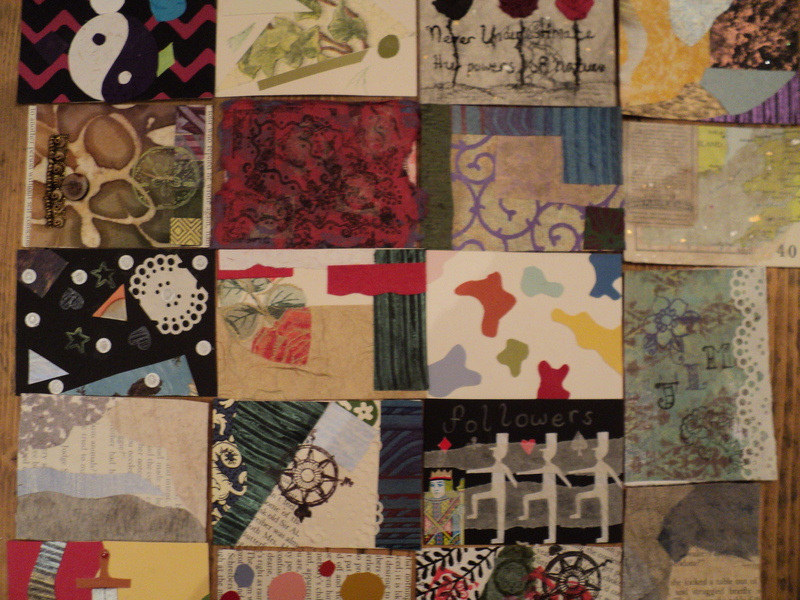 My horizons expanded when I began to make my own packages and envelopes for mail art and to share with friends and family. 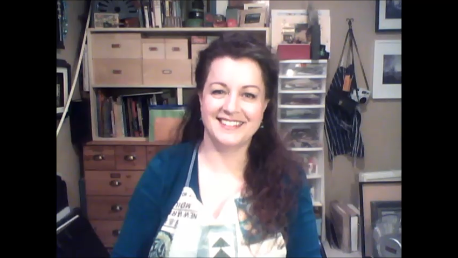 As this little blog post has garnered so much interest over such a long period, I thought it was high time I expanded the topic into a video tutorial to share with you. 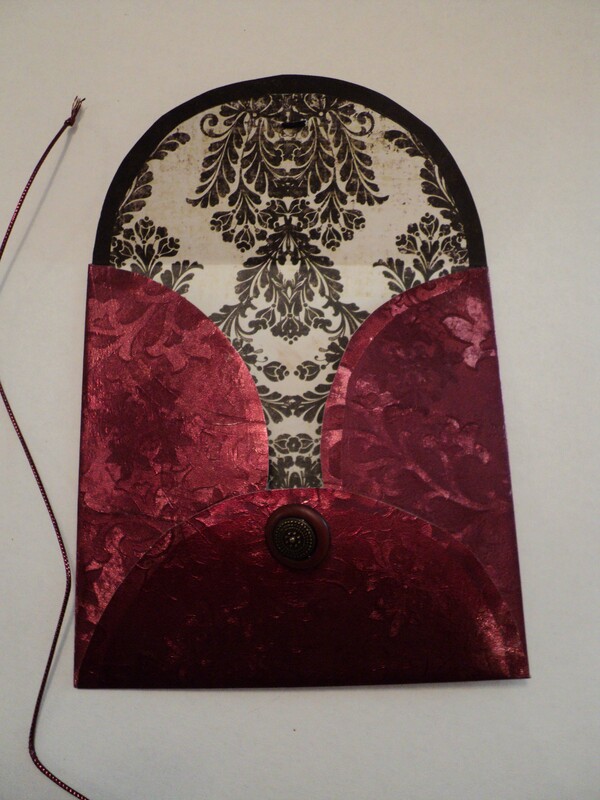 And so, my dears, here it is at last: a full length video tutorial on making your own envelopes and packages for mail art and other purposes. I hope you enjoy it! I am honoured and pleased to be a Spotlight Artist for Art Camp for Women this month. 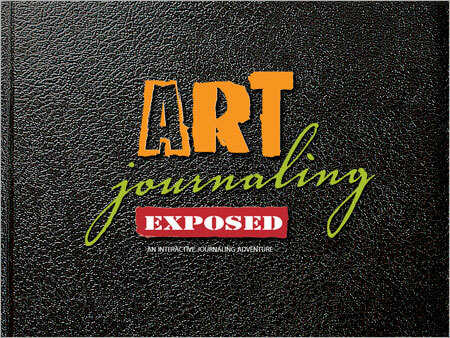 Through the course of this year, Art Camp will be spotlighting several artists in their newsletter and blog, and I hope you will keep in touch with them to meet some of the other great artists they will be bringing your way. 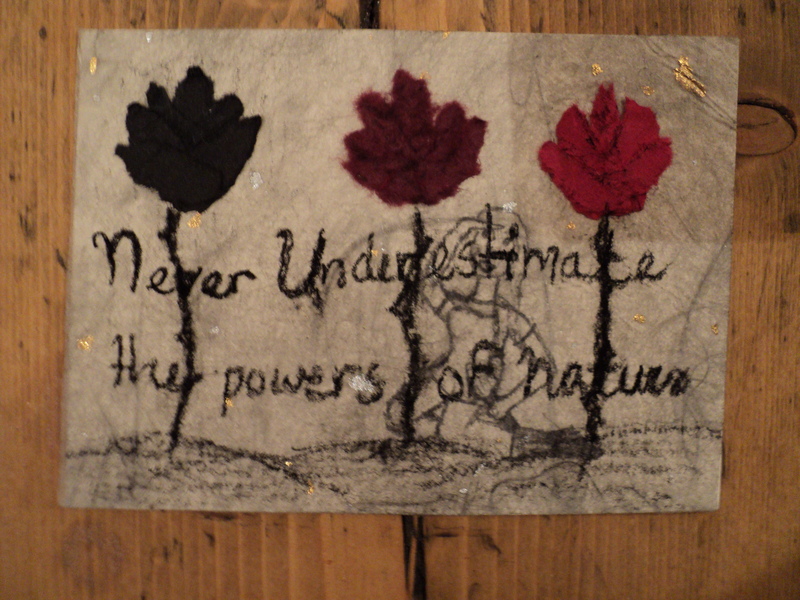 Art Camp for Women is the only art retreat I have encountered that genuinely embraces the true nature of a ‘retreat’ – complete, delightful immersion for mind and spirit; an opportunity to engage, share and connect with people who live fully through their creative spirit and provide you with an opportunity to do the same. This year, I am excited to tell you that Art Camp for Women is giving you an opportunity to win a free camp registration. What on earth are you waiting for? 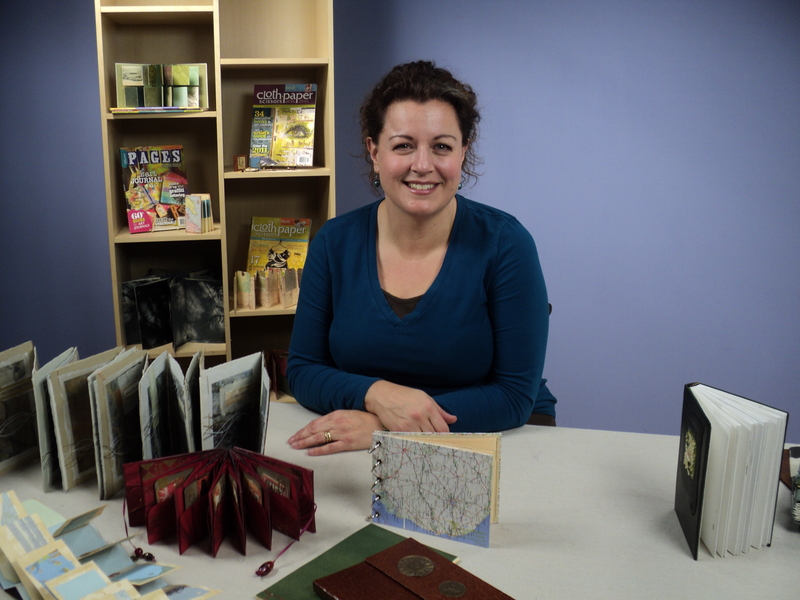 I am pleased to share with you the release of my CPS Workshops DVD, “Handmade Book Essentials: Learn to Make Folded, Side Stitched and Signature-Style Books”, published by Interweave Press. Make your own books—the only limit is your imagination! 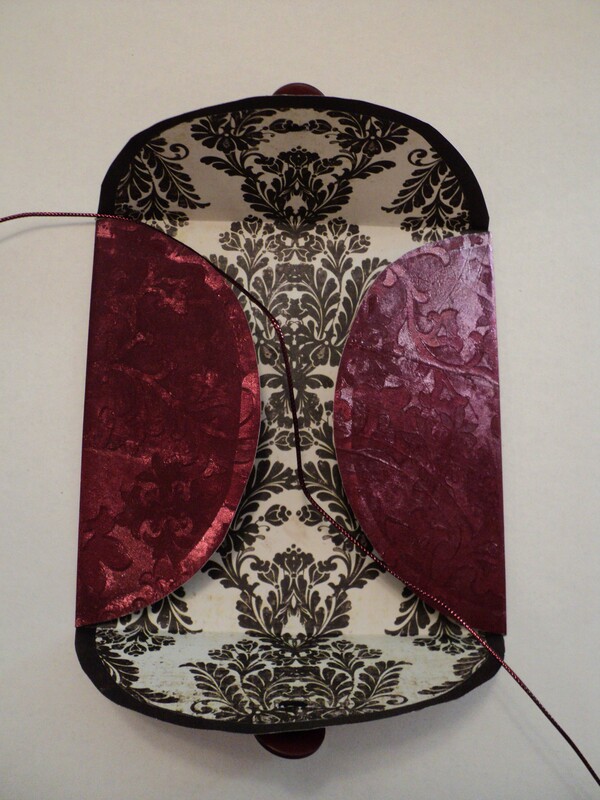 Artist’s books have become a wonderfully varied source of creative expression. Join me and learn how to construct each of the three basic forms to enable you to start creating. 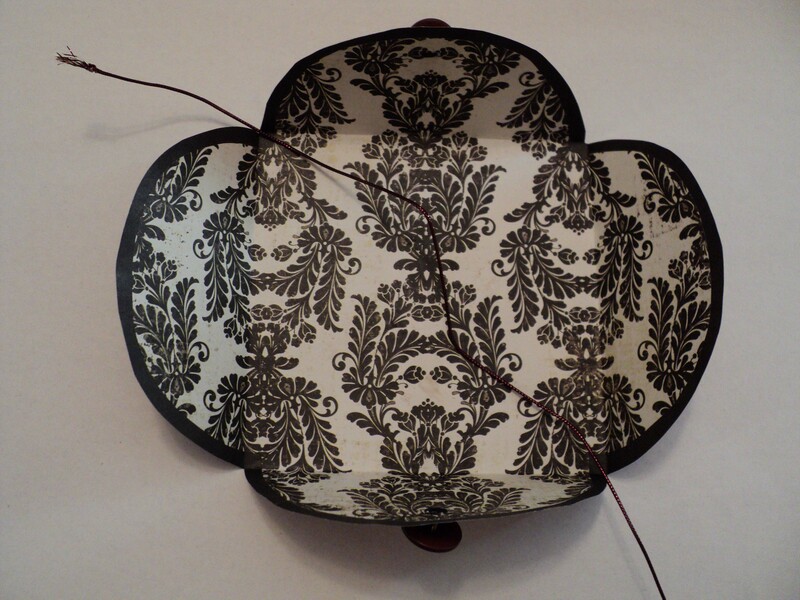 Every artist’s book falls into one of these three classic forms. 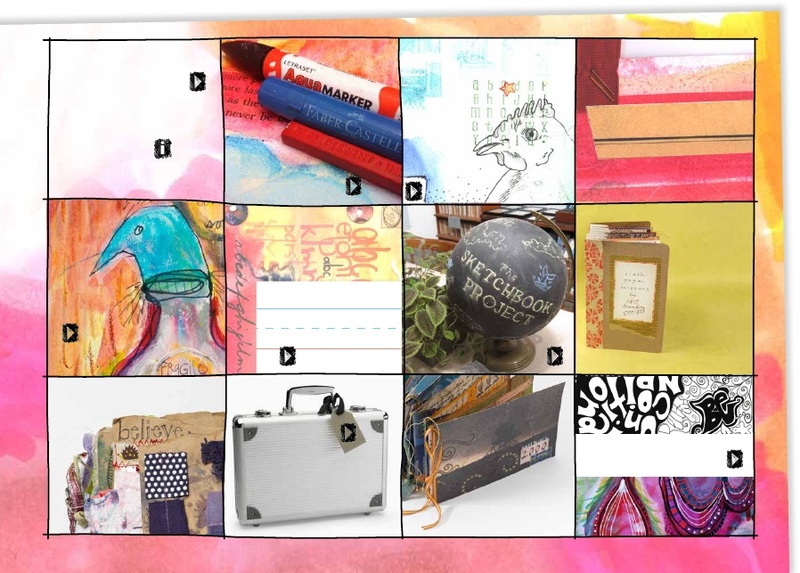 Once you learn these basic forms, you’ll be equipped to create a variety of different books for your art journals, photos, and more! Available on DVD, or as a regular or HD download. I hope you enjoy watching it as much as I enjoyed making it! And don’t forget I’ll be at CREATE in Irvine, California this spring to teach you some of these techniques in person. 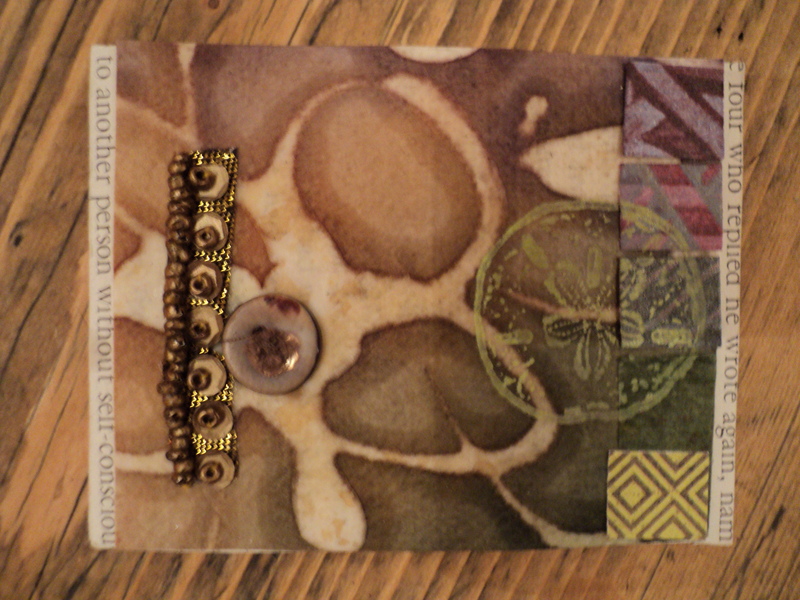 New Year’s Day ATCs . . here are some of the results! Look what we’ve been up to! 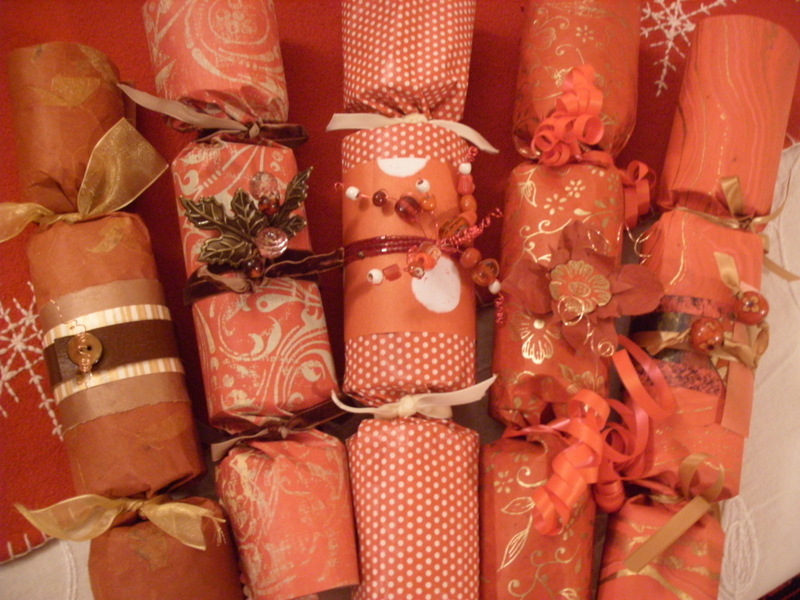 For more than 20 years, my family and I have made our own Christmas crackers for the Christmas dinner table. Our table, as you may have surmised, is red and white this year. The crackers are personalised for each guest, both in decoration and content. Sometimes, we put in toys, or candy or small gifts. This year, they contain small gifts like jewellery, pocket knives, bookmarks and fishing flies, as well as chocolates. Sometimes we do knock-knock jokes or puzzles, but this year, each cracker contains a tiny scroll bearing the meaning of the guest’s names and a fortune. . . . Go on, try making your own! It really is easy.